An Stunningly Classic Linen Tunic Dress From Made In Italy Clothing. The Made In Italy Woburn Tunic Dress is crafted from beautiful Italian Linen and features a sleeveless design. This Made in Italy Linen Tunic is then finished with a button detailing and two small pockets to the bust. 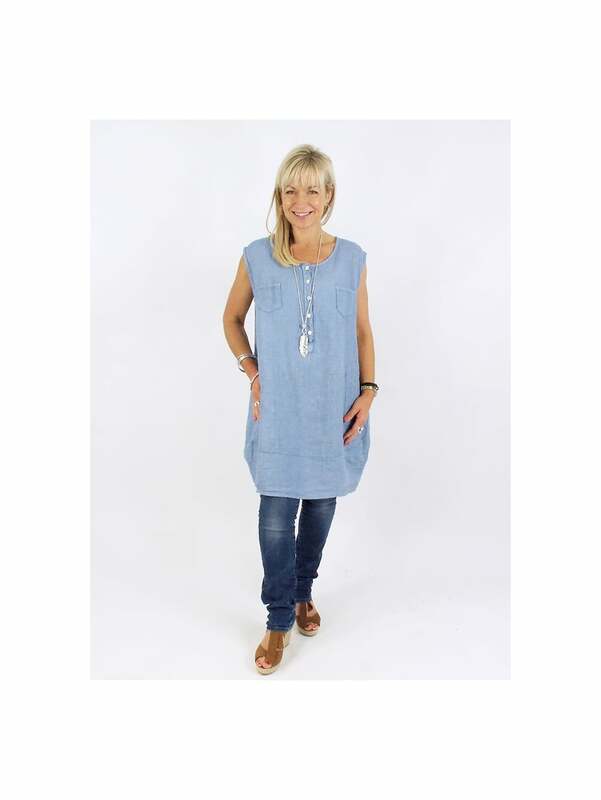 This Made In Italy Linen Tunic Dress is great when worn as it is or with leggings and jeans. The Made In Italy Woburn Linen Tunic Dress is also available in other colours.